No, not terraforming; world-building! You know, like writing and content implementation. 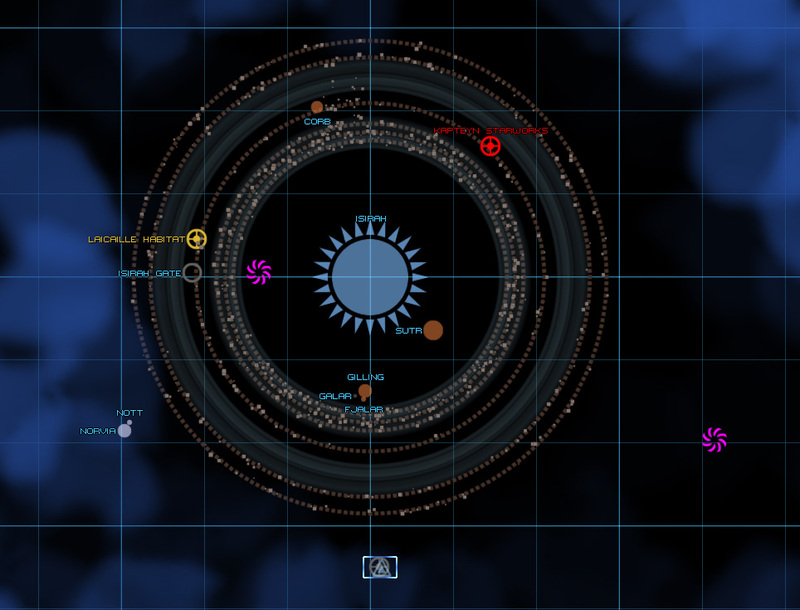 In the upcoming Starsector 0.8x patch we’ve added at least one* new faction and expanded the number of hand-scripted star systems in the Sector by a significant though not quite finalized number. Alex has of course obliquely described how he has expanded the number of procedurally generated star systems from zero in the currently available build to potentially a whole bunch in the upcoming patch. This does much to embiggen the world of Starsector! My part in this has focused mostly on the hand-scripted Core Worlds, the centers of human civilization, industry, and conflict within the volume of the Persean Sector. I’ll talk a bit about the creative process as well as design considerations that go into creating this content. We’ll cover some old star systems, some new star systems, the Persean League just a tiny bit, and whatever tangents that come up. It all starts with names. Mostly. I’ve got a document with a list of name-sets for stars and planets that I think sound like they might be interesting places. Following the precedent set by our own home star system and in the spirit of the IAU’s official naming guide for exoplanets, these name-sets are usually but not always drawn from mythology. The fearsome maw of Alex’s procedural generation machine also requires a huge list of names, so one of my tasks for the last while has been to fill up a spreadsheet with even more sets of interesting names. I believe we’re now up to something like 850 names for stars, planets, moons, and other things you might find. My personal goal is to hit 1000 names, and I daresay I’ve covered a good lot of the easily-accessible names from mythology! I wish luck and godspeed to anyone who plugs the name of everything they come across into Google to figure out their stories – and in doing so perhaps get at some idea of whatever conceit I had in mind to join the content together. There’s also something to be said for the tone created by the names, both in their content and in how they actually sound/read. My goal is to aim for a somewhat dark tone in Starsector, what with this being a moderately dystopic sci-fi world where space is vast, frightening, and hostile. I recall a comment on a forum, though I forget which exactly, that expressed some worry over just how many of the celestial objects in the screenshot of the procedurally generated content seemed to be named after underworld deities and lovecraftian horrors. Whoever you are, you nailed my intent! That said, I think it’s important to have thematic contrast because if everything is scary, then nothing is scary. So if you start in a warm, welcoming-feeling, and safe (sounding) planet then fly to a faraway, cold, and hostile (sounding) world, you’ll appreciate the contrast in mood being set. Askonia comes from the old root “askon” meaning “ashes”. Sindria in the Askonia system is simply an archaic take on “cinders” – cinders, sinder — you’ve seen the word “sinter”, right? That’s where it’s from! — and it becomes Sindria, the place of cinders. Alex has pointed out one instance where I seem to have named a moon after the Russian word for “side dish” when I was aiming for an archaic root of “to guard”. I think this is a great accident of double-meaning and I’m totally leaving it in. So names are usually where I start; I find these words easily evocative, so they provide a hint at where to go to craft the mood of a star system and its contents. The current Hybrasil, with ever so slight changes from the one you know. What is a star system but a miserable pile of secrets? Each piece of content must be a part of the whole but retain its distinctiveness. This includes not just the game mechanics impact, which is necessarily of primary importance, but also the aesthetic impact on Starsector as a creative work. 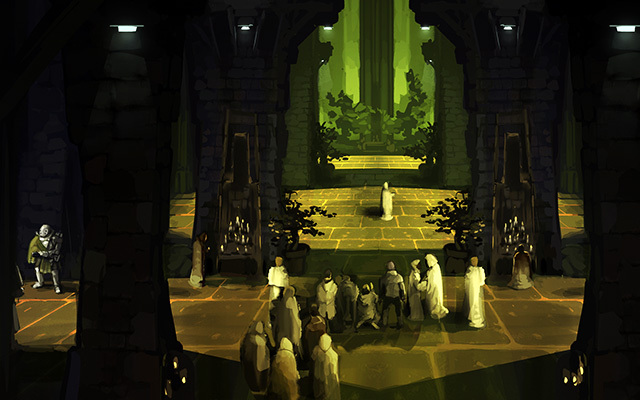 So in addition to the mechanics, a function of a place you can visit in-game may serve to illuminate some aspect of the history or politics of the setting. For instance Chicomoztoc is the Judge Dredd-esque hiveworld of industry, oppression, and crime. And in terms of game mechanics it really is the heavyweight at the center of the simulated economy. (Plus I really enjoy watching LPers grapple with the name “Chicomoztoc”.) But this narrative role can be much more subtle: the theme of a system can be about something like, oh, betrayal; the Mayasura system and the standalone mission that takes place in its history could be an example of this. Or a piece of content can be about something as small as saying that within the gas giant world of Kumari Aru is some kind of unknown alien life – and it’s unknowable within the scope of what human civilization in the Sector can/will accomplish due to being so focused on its own power struggles. In the world of a game like Stellaris, you’d send a science ship and find out what’s going on there to get some research points or set off an event chain. In Starsector, there’s a Luddic shrine in orbit. A small narrative point like this can imply much about the fictional world of a game. A shrine of the Luddic Church. Would you care to make an offering? This is not to say that every description is some revelatory info-dump about the deep backstory of Starsector. There are jokes, there are references to things that may be of interest only to me, there is stuff in there simply because I think it felt right. But none of that should ever impose itself so much that it contradicts the overall purpose the game is aiming at. Let’s do a walkthrough of how a system was turned from a set of notes into a piece of content to show this process at work. 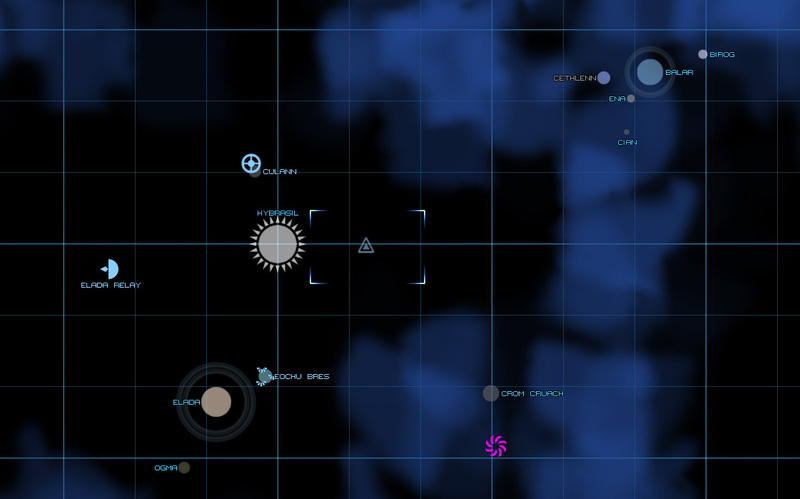 We’ve got a name based on an interesting word, an idea for the star system’s place in the Sector, rough notes on the composition of the system, and some extremely bare-bones ideas for places to visit. Laicaille/Groombridge/Kapteyn are all names you’ll see a lot of if you look into star catalogs and are from the people who described those stars. I figure that whoever settled this system will have brought these familiar names of (perhaps) core Domain worlds with them from wherever they came. “Laicaille” was also my attempt to reference Lascaille’s Shroud from the Alastair Reynolds books (see also the post in which I gush about Reynolds & others) – but I missed an “s”. Or possibly he added one? I’m not quite sure, but we’re going to go ahead and leave it out. It turned into something not unlike the Magec system with its extensive rings and asteroid belts, though only a single star and a bit more standard in terms of planets for what one would imagine could be found in orbit of a young star. The names of the planets turned into yet more Norse mythological references, which is something of an indulgence. The backstory of the system came together from the Kapteyn Starworks — renamed from “Habitat” to give it a more industrial feel. This also provides the Pirate faction with an industrial center which they were rather lacking before. So how did the Pirates take over a significant industrial station? Let’s make up some backstory about a powerful pirate warlord, the sort you’d collect a really large bounty on if you busted up their plunder-fleet, thus: The Pirate warlord Leonis captured this station and the rest of the system’s habitats in cycle 47, not so long after the Collapse! There, now we get some backstory in about the chaos of the Collapse, what those giant fleets of pirates get up to, and it fills in a narrative foundation for the rest of the system. Another station captured in the warlord Leonis’ conquests, Laicaille Habitat was retaken by a subsequent (and far less fearsome) pirate king after the Armada of Kazeron applied political pressure during a border conflict with the Luddic Church. This minor addition to the League was built on the asteroid prospecting industry, though is now dominated by Kazeron-owned military shipyard combines. Laicaille Habitat’s nightlife has something of a reputation. And here enter the Persean League and Kazeron! What a lovely opportunity these pirates gave us to introduce more of the characters of the world of Starsector. We’ll talk more about them shortly. Oh well. These conquests back and forth don’t come without consequences. Kazeron is to the Persean League what Athens is to the Delian League: It’s the biggest, baddest center of power in the League and maybe it’s just a little bit willing to use the League to further its own ends in spite of the official one-for-all-and-all-for-one arrangement of the League’s constitution. You may find the answer is a bit silly, but we’re going to do this. 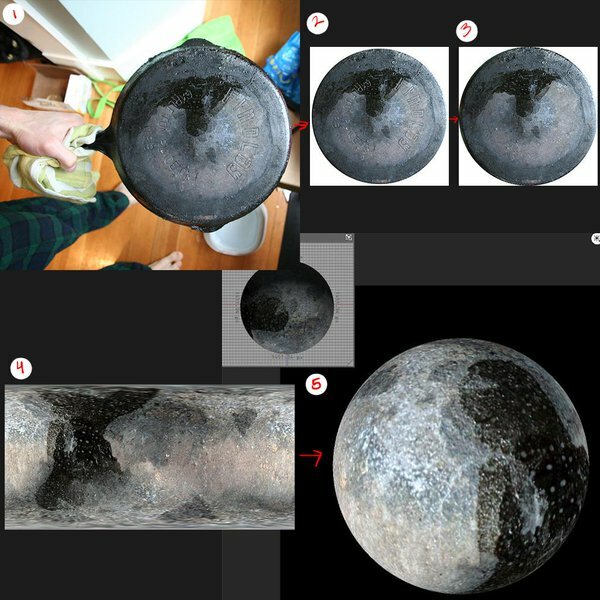 So a couple years ago there was a smattering of fluffy news stories about how a series of photographs of frying pans were nearly indistinguishable from images of the moon Europa. I’m somewhat tempted to pull the trusty skillet once more and see what it looks like as a planet after two additional years of use. Hey, I’ll take inspiration from anywhere. And that’s how my frying pan became the most important world in the Persean League. This entry was posted on Tuesday, February 21st, 2017 at 12:39 pm	and is filed under Lore. You can follow any responses to this entry through the RSS 2.0 feed. Both comments and pings are currently closed.